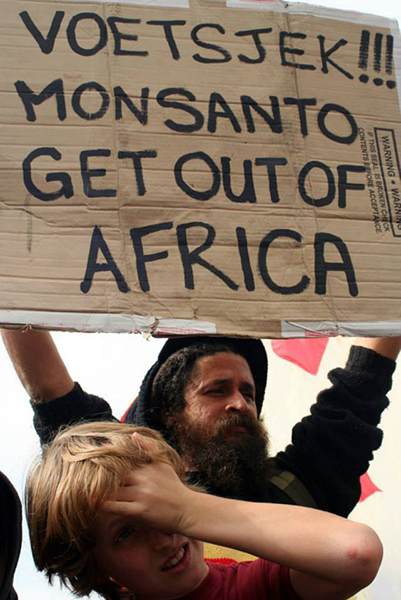 These are three images I made of the Say No to GMO protest which took place in Cape Town CBD in May, 2013. 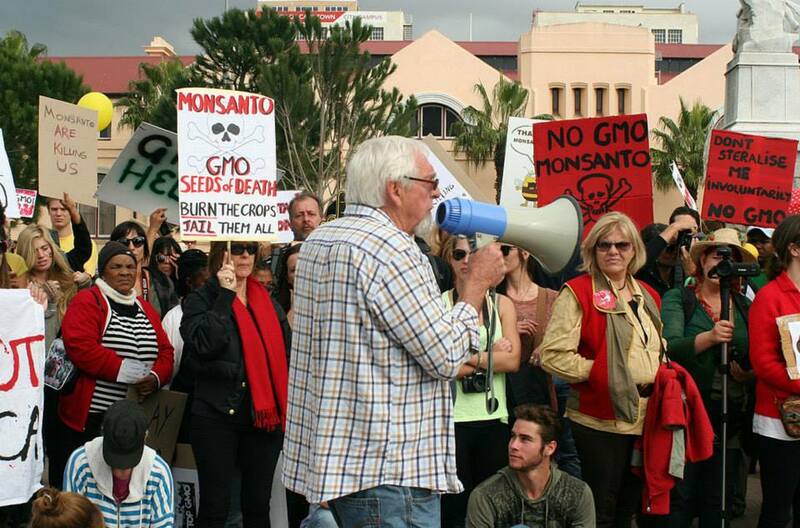 This was an exciting event to be part of since there were marches in over 200 cities simultaneously, worldwide. It was special to be there knowing that across the planet there were millions of people that had similar feelings about the same issue. 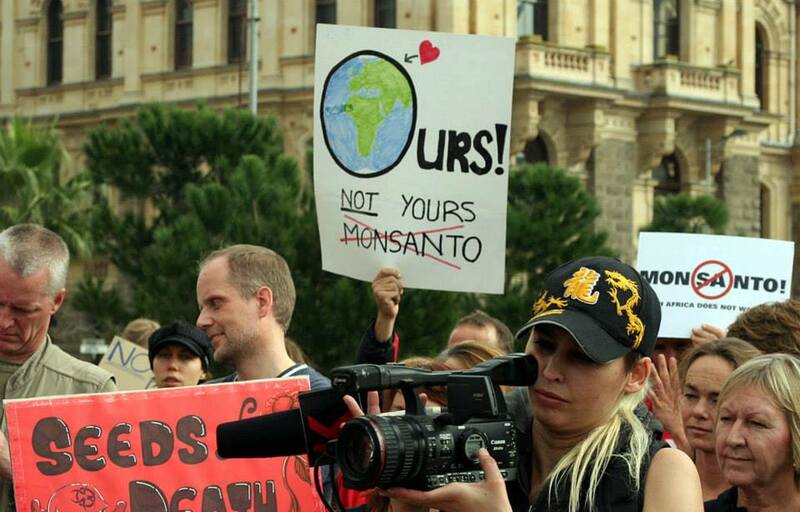 Unfortunately nothing much has happened regarding the No to GMO issue. This leaves millions of people believing that private companies’ rights and profits take precedence over that of the people… individually or by the millions. Makes one wonder! Even though this was an event that I was recording, I also categorise this as street photography because everything I recorded on the day was spontaneous, not posed and unrehearsed. This was a rather cold and drab winter’s day, raining from time to time; yet I chose to shoot without using artificial light (a flash) since I wanted to capture the atmosphere and the mood of the occasion with natural light. Unfortunately, these are rather low resolution images, but they are the only ones I have of the event. My computer and backup drive was stolen soon after I had uploaded these images onto my Facebook page. These are some of the oldest pictures I have left from my original portfolio. I felt it to be an appropriate departure point for this blog and Website.